MARQUETTE — The 5th annual U.P. 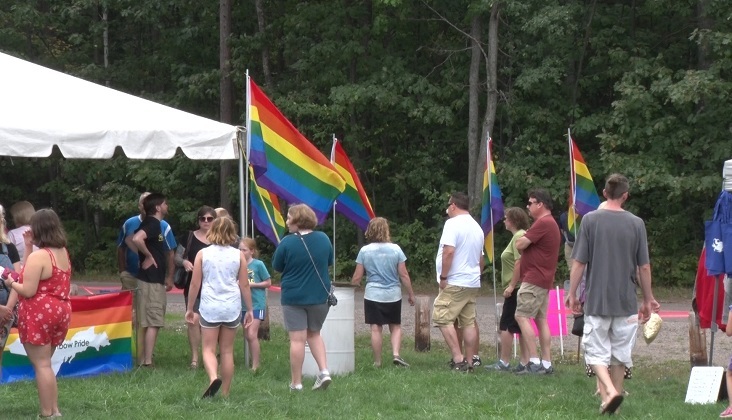 Pride Fest was held on Saturday at Tourist Park in Marquette. The festival started at noon with speakers and number of different booths, then ended the night with a drag show. This event was put on by the Upper Peninsula Rainbow Pride, and their goal is to have people be themselves and live authentically. “I got a letter last year saying that someone was able to come out of the closet for the first time in their life after coming here. They were in their 40’s and that just means so much to me. There are so many people out there who are terrified of living in the closet. They come here and they feel safe, they feel like they can be themselves for the first time in their life,” said Marissa Wolfe, One of the founders of Upper Peninsula Rainbow Pride. The U.P. Pride Fest was sponsored by Planned Parenthood and Sophia’s Patisserie. For more information on Upper Peninsula Rainbow Pride click HERE.